You can’t really drive across America and not stay in Vegas for a few nights. Some people love it, some people hate it, but it’s an experience worth having at least once in your life. And if you can’t stand the bright lights, there’s always Red Rock just outside town . . .
You might be looking forward to some city comforts after so much camping, but wait a moment. A lot of people pass Red Rock (not to be confused with the Californian one in Part Two) on their way to the casinos and don’t realise what a treat they’re missing. This dramatic desert park has cheap camping (bring your own water and food) and some fantastic hiking. 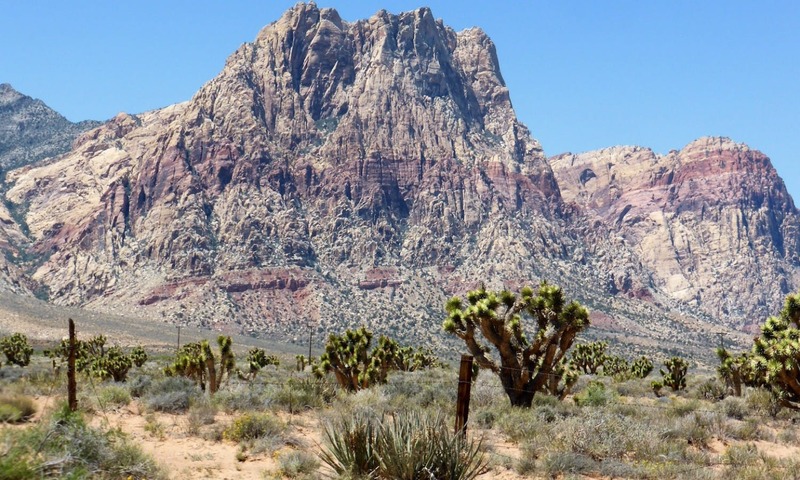 Try Turtlehead Peak, Ice Box Canyon or Pine Creek Canyon for some great scenery. You might even use Red Rock as a base and drive into the city each day, saving a lot of money. Alternatively, you could dedicate at least four days to enjoy nature here, either before or after your Vegas experience. Don’t forget to drop in at the Bonnie Springs restaurant for a Wild West-style eating experience. There’s nothing quite like Vegas. I was having a coffee in the Venetian hotel (a scale replica of Venice, complete with gondoliers, canals and Italianate streets) when a troupe of singing ‘carabinieri’ walked by the café. You should have seen the faces of the Italian family sitting next to me. That’s the Vegas effect. You might think it’s expensive to stay here, but you can get pretty good deals at the big hotels if you book in advance and choose the right time of year. 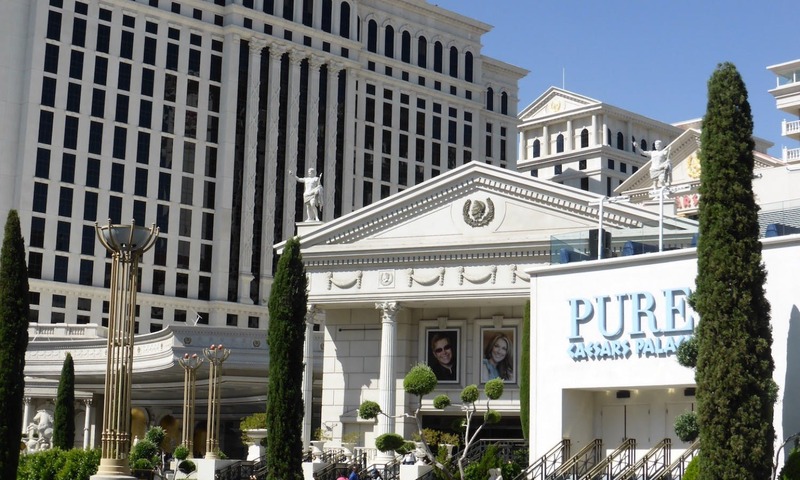 Caesar’s Palace, for example has so many rooms that you might get yourself a huge bedroom right on the Strip at a considerable discount. 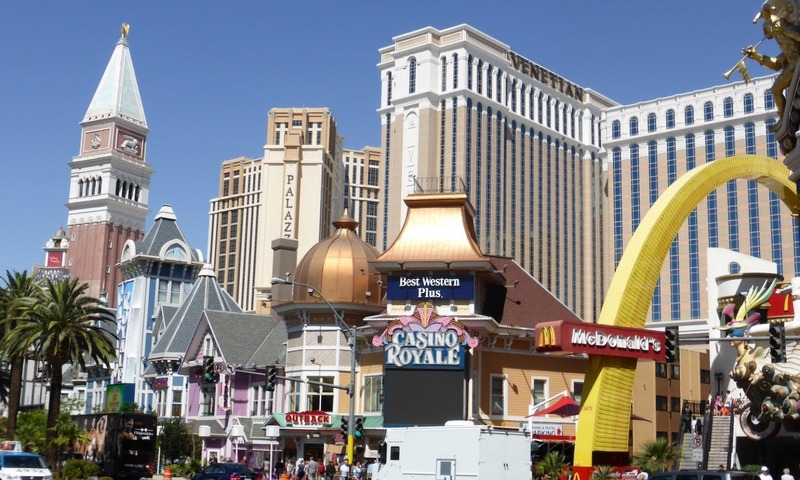 Plus, some of the bigger casinos offer free parking. You won’t have trouble filling your time in Vegas. There are shows, casinos, malls, bars, pools and parties to entertain anyone of any age. Visit the Forum Shops if you want a real taste of glitzy retail – the whole place is air-conditioned with a fake blue sky. Also, don’t miss the famous buffets where you pay one price and eat until your chair’s legs bend. The Bellagio and Cosmopolitan do good buffets. There’s also a lot of pleasure in just strolling up and down the Strip watching the people. However, remember to carry some water and remember that the Strip is much longer than it seems in the desert heat. As for the casinos, they tend to be rather dim and depressing places where you can’t tell if it’s day or night. It’s easy to get lost inside them, which is what the management want. Still, you should explore some of the best-known ones just for the experience. The Luxor, Caesar’s Palace, Camelot, the Flamingo, The Golden Nugget, New York New York and the Venetian all have remarkable architectural details, even if some of the details seem cheesily awful. The Wynn casinos are really something special and shouldn’t be missed. 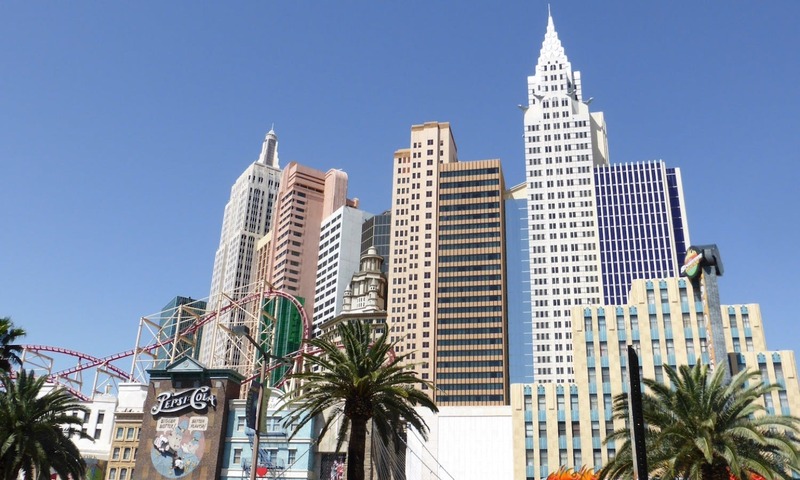 You may find that three or four days in Vegas is enough, unless you really like drinking and gambling. The place is a 24-hour party and it takes a lot of energy to keep up. There’s also a lingering sense of exploitation and seediness that increases the longer you stay in the tourist areas. Having experienced it, you’ll probably be glad to get back on the road. Matt Stanley is an English copywriter and occasional adventurer. He spent 2013 travelling round the world to enjoy trekking in Europe, New Zealand, Australia and the USA.